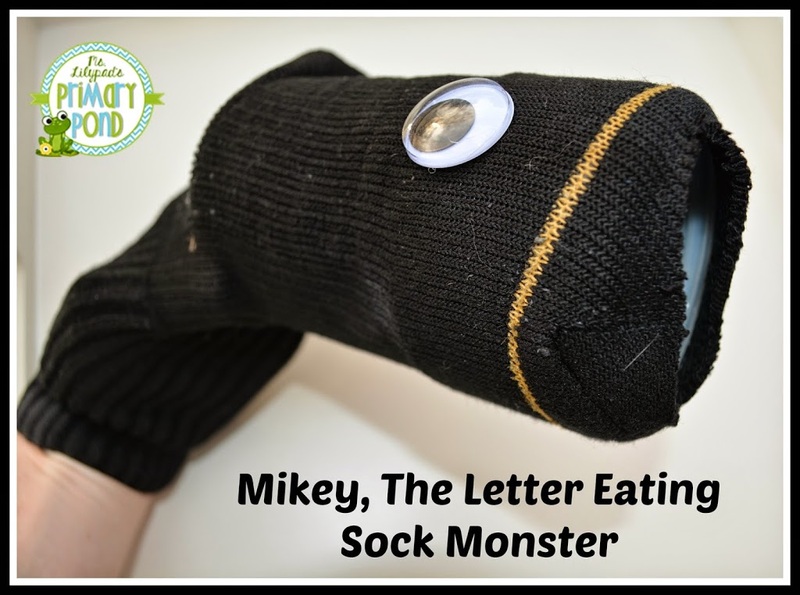 It’s Mikey, the letter eating sock monster! He tells you what letters he wants to eat, makes the letter sound, or says a word that starts with the letter he wants, and then you have to feed him! When his tummy is full, he burps and the letters come spilling back out. I’m not gonna lie, I really enjoy putting this puppet on my hand and talking for him in a crazy monster voice. I think I might enjoy it as much as the kids do! Mikey is very easy to make – luckily for my very un-crafty self. 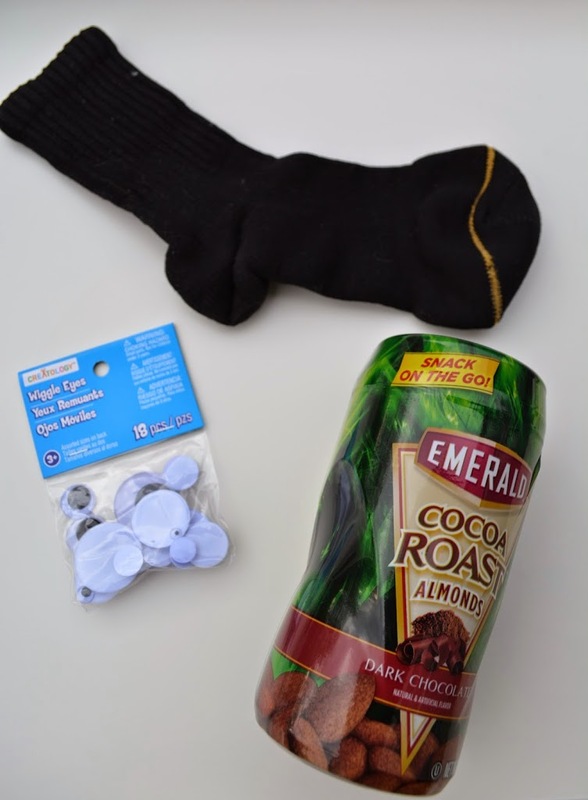 To make him, you will need an old sock, googly eyes, and some sort of plastic can with an opening (I used almonds). First, take the wrapper off the can. Remove the almonds and clean out the can. Remove the lid. 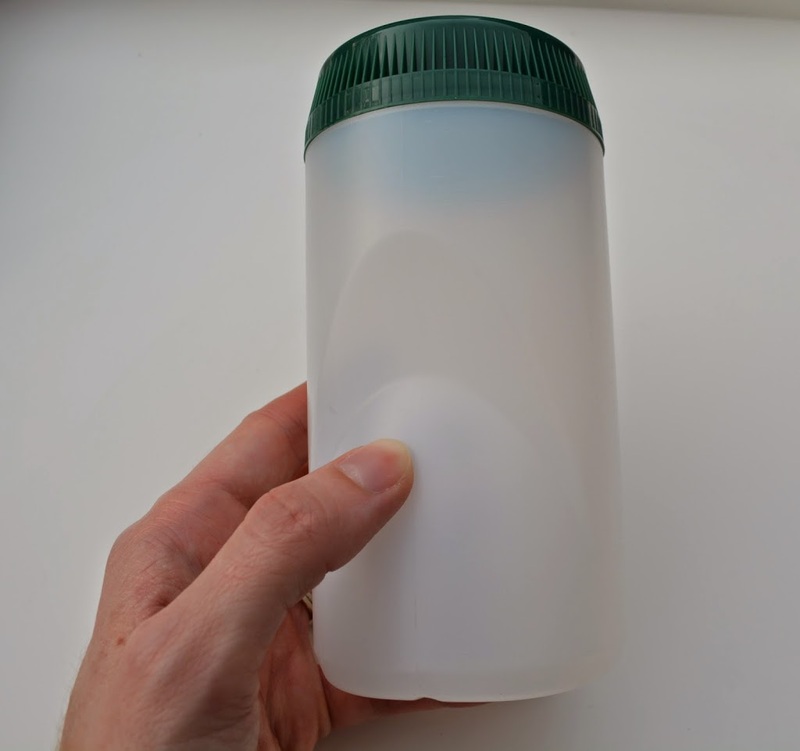 The lid is still on here – I removed it after taking this photo. Stretch the sock around the lid-less can. The can opening should be in the toe of the sock. 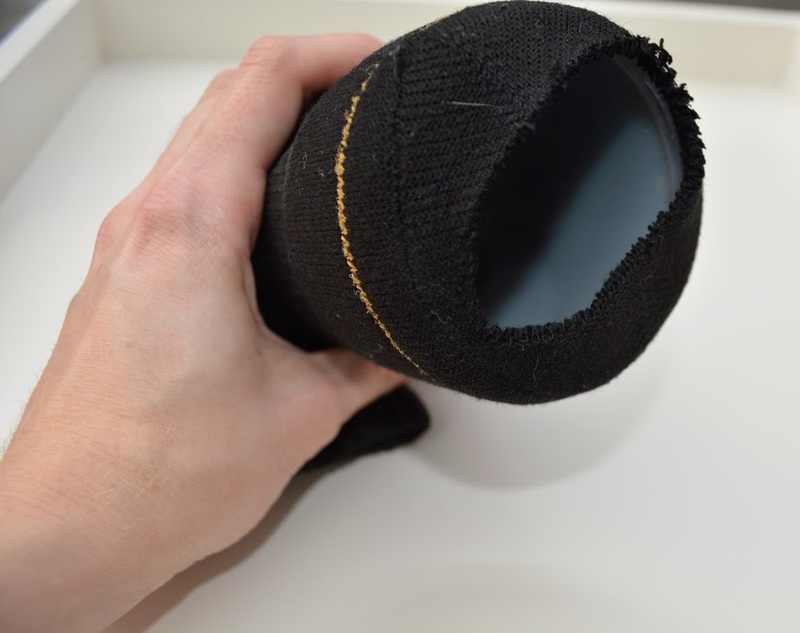 Cut a hole in the toe of the sock that is big enough for a mouth (I cut it rather small – you can make the opening larger if you like). Last, add goggly eyes (I recommend using a hot glue gun to adhere them – sometimes Mikey gets a little crazy and loses one of his eyes). Now, Mikey is ready and raring to eat some letters! I originally made Mikey (or rather, his brother, who I ended up losing somewhere in my teaching supply closet mess) when I taught PreK. The kids loved it! I decided to bring him back for my Kindergarten interventions. We have some good routines established for learning activities in my Kinder intervention groups, but I like to switch things up and make them more fun every so often.